THE GARTH BROOKS debacle is over. Probably. Barring a late twist, Ticketmaster will today begin refunding those who had bought tickets to the now-cancelled gigs, an operation that they say is “unprecedented”. A last-ditch attempt to save the gigs failed last night, when Dublin City Council refused to allow Aiken Promotions an uncontested High Court review, which would have allowed the gigs go ahead. 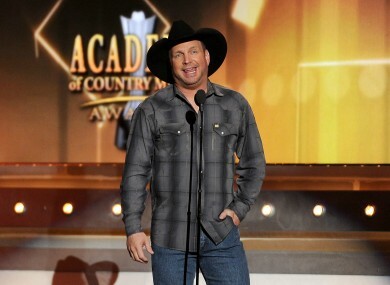 Read: What do you do now if you have a Garth Brooks ticket? Peter Aiken had said that he would only lodge the review if it was uncontested, but Dublin City Chief Executive Owen Keegan said that wasn’t going to happen. It is of course open to any individual or organisation who thinks otherwise to initiate judicial review proceedings and challenge the decision. I should state however, that any such proceedings will be vigorously defended by the City Council. If you bought your tickets over the phone or on-line the company is to automatically refund you, including the service charge, to the card used for the purchase on 15 July. Ticket holders who bought their passes at a Ticketmaster outlet will have to complete a refund form and return it to a Ticketmaster store. The form is available here. Email “It's finally over: Garth Brooks refunds to begin today”. Feedback on “It's finally over: Garth Brooks refunds to begin today”.